Laurence William Nelson was the first son of Charles Nelson and Irapeta (Isabella) Stanaway, and was born in Helensville about 1869 (Birth Certificate Number 1869/11646). Laurence William Nelson – Tides of Time. Not much is known about the early years of his life other than he live briefly in Helensville and then in Ponsonby, Auckland. The first record we have of Laurence is his wedding to Jane (Jennie or Jean) Horrall on 27 December 1892 at Morrinsville (Marriage Certificate number 1892/3690). Laurence was 23 and Jane was 32. 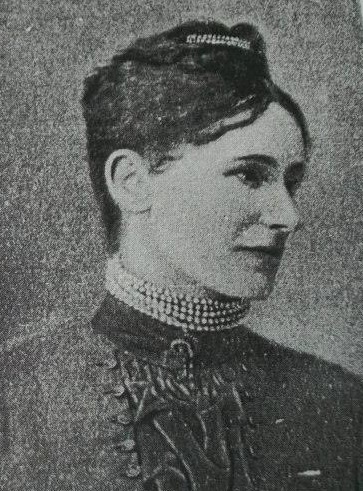 Jane was the daughter of John Horrell (1821-1897) and Elizabeth Moore (1826-1913) formally of Devon, England, Jane was born in Christchurch, New Zealand. Laurence and Jane have two children, one daughter and one son; Isabel Ida (Mary) (1894-1908) and Lawrence Ross (1896-1979). From the Electoral Roll 1896 we have Laurence and Jane living at Lichfield, Bay of Plenty/Waikato, he is listed as working as a clerk. While living in Morrinsville Laurence’s only daughter Isabel dies – we do not know the cause of her death but she was only 13 years old. 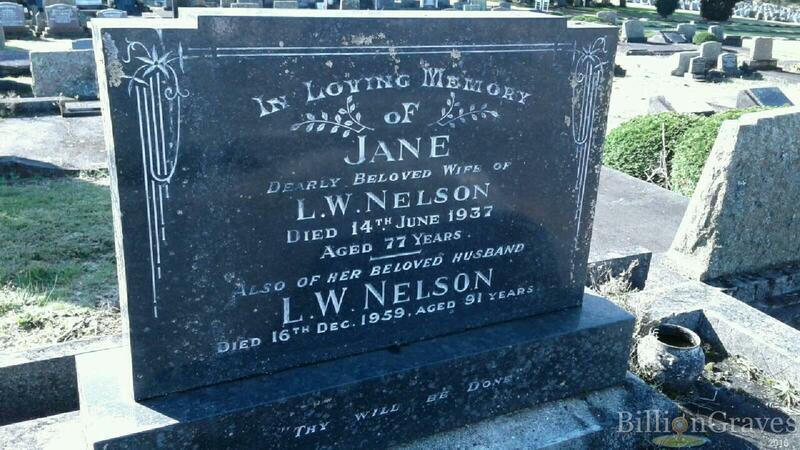 She is buried in the Morrinsville Cemetery. Marriage Notice – New Zealand Herald 4 January 1893. The 1905-1914 Electoral Rolls have Laurence living in Whangarei and listed as an Auctioneer. In the Whangarei Club, there is a plaque on the wall recognizing the founder members, dated 1911. One name and photo was of Laurence Nelson. 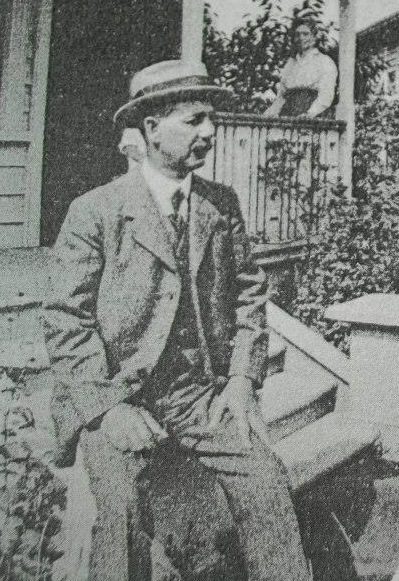 In the 1919 Electoral Roll we have Laurence (with his wife and son) living at 28 Seaview Road in Remuera Auckland, he is listed as a Live-stock Buyer. The next record we have of Laurence is from the 1928 Electoral Roll, where he has moved back to Whangarei – Cairnfield Road and is listed as a Farmer. On 14 June 1937, Jane dies at the age of 77, (Death Certificate 1937/18248), she is buried at the Maunu Cemetery – Old Portion Block Three, Plot 1137, in Whangarei. By the 1949 Electoral roll, Laurence has moved from the farm to 19 Hatea Street in Whangarei and is now retired – his son Lawrence has taken over the farm at Cairnfield Road. Laurence was recognized as one of the best judges of cattle in New Zealand. He also judged at the Sydney Royal Show. In 1958 he established a trust fund of 100.00 in Whangarei for charitable purposes in Northland, more especially for the care of the aged. Laurence was named in the 1959 birthday honours list for his community (Officer of the Order of the British Empire – OBE) for municipal and philanthropic services, but died before he could receive the award. Laurence died 16 December 1959 at the age of 90 (Death Certificate number 1959/39285). He is buried in the Maunu Cemetery – in the same plot as his wife. The LW Nelson Charitable Trust helps Northland charitable, educational and community organisations that provide assistance to the aged, destitute or those suffering from a serious or physical disability. The Trust was established in 1958 by Laurence who was described as a self-made man, a very shrewd operator and a millionaire in today’s terms. the idea had originated years earlier in discussions he’d had with his wife. They had both been intensely sympathetic towards those who found themselves in poor circumstances, particularly in old age. The primary consideration of the trustees would be to assist Northland’s aged and destitute, and those suffering from some serious disability, either mental or physical. Careful to the nth degree, Laurence had the midas touch and by the end of his life had amassed property and investments to generously endow the trust that bears his name, and to-date had given more than one million dollars back to the Northland community. There is also an L W Nelson Agricultural Scholarship which supports Northland students to pursue further education at an agricultural institution, and intend to take a course for a minimum of three years (Conditions Apply). The LW Nelson Agricultural Scholarship helps Northland high school students who wish to further their education at an agricultural institution, and intend to take a course for a minimum of three years. Who reside in the districts of Hobson, Whangarei, Bay of Islands, Whangaroa, Mangonui and the Hokianga.